Early summer in Vail is perfect for those looking for quiet reflection and solitude. As the nighttime temps start to warm-up, the wild flowers start to bloom throughout Vail. 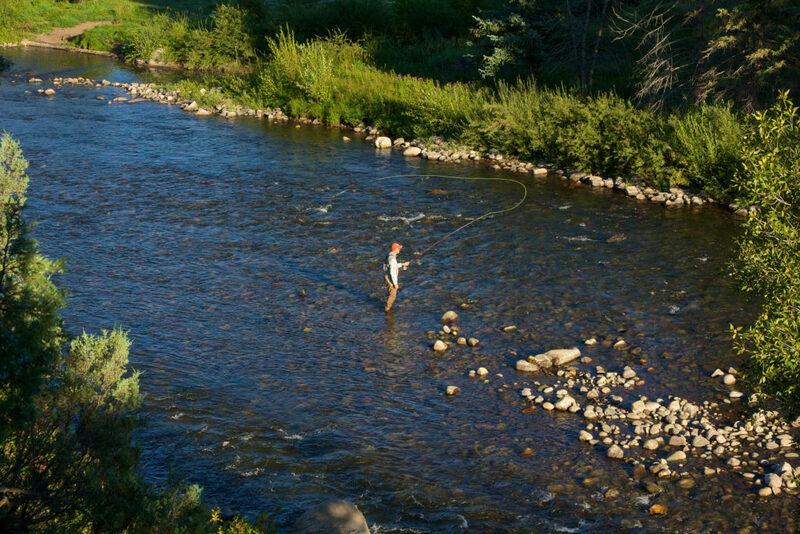 Here are some of our favorite ways to experience Vail in the early summer months. So pull up a chair, put on a robe or lace up your hiking boots and bring a camera to soak up the breathtaking views. Did you know the White River National Forest contains over 2.3 million acres, which include the land Vail Mountain falls on? 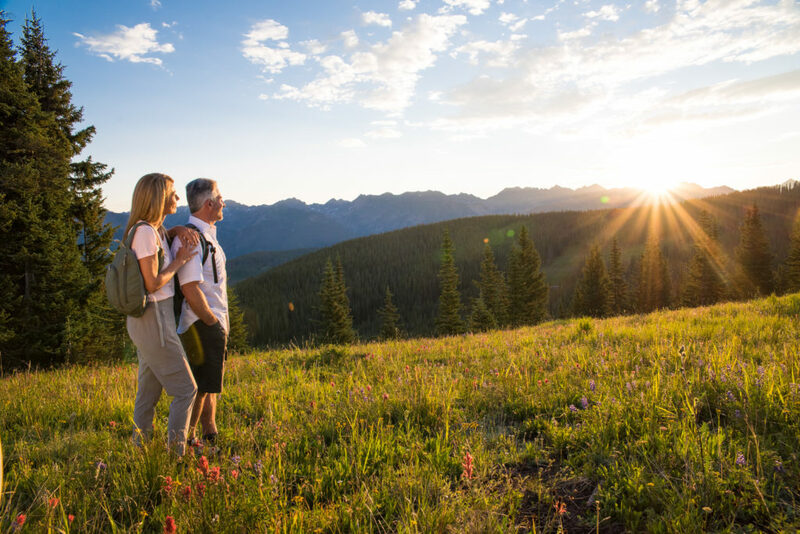 Gain easy access to the forest via trailheads in Vail Village and see what your favorite ski trails look like in the summer time. Be sure to check snow levels before you head out on any of these hikes. Lower down on the mountain trails including Berry Picker, Hanks Hideaway, Village Trail and Liondown may be the best option! The North Trail on the North side of Vail offers 12 miles of incredible hiking options through glades of glorious aspens. The North Trail system is a favorite among locals for its accessibility, variety of user options and the beautiful scenery it provides. 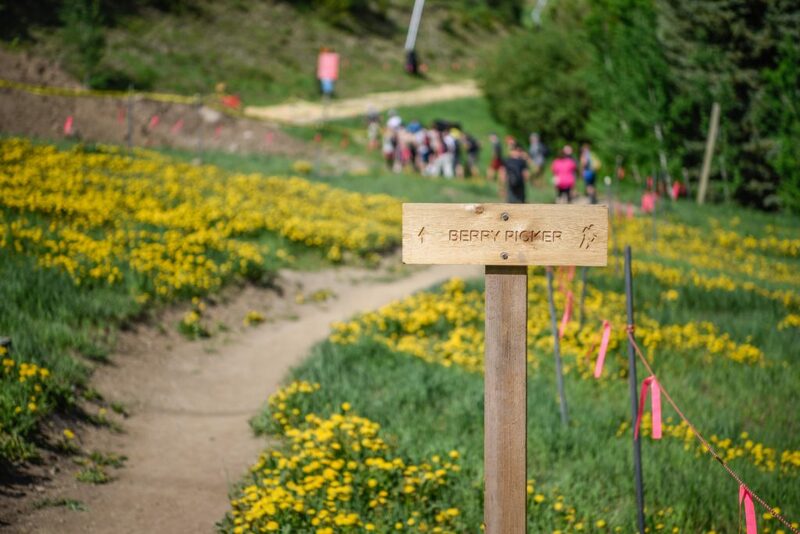 On any given day, you’ll find hikers, bikers, trail runners and dog walkers all sharing the trails with smiles on their faces and sweat on their brows. The trail system, from end to end, runs from the Davos Road area in West Vail to the Spraddle Creek area in middle Vail, or vice versa. Booth Falls Hike. At 4.1 miles out and back this hike is rated moderate with 3,000 feet in elevation gain. The trail leads you through beautiful aspen and pine groves and falls will be at full force from all the melting snow this time of year. Experience our iconic village, by wheels or by foot. If your looking for a casual stroll or bike ride, the paved path running from Lionshead, to Vail Village, to East Vail is a perfect option. The winding path rolls along Gore Creek and is both bike and walk friendly. Gore Creek Fly Fisherman has been offering guided fly fishing trips and fly fishing products to the public for over 35 years. The outfitter offers wade and float tours on multiple rivers including the Eagle River, Gore Creek, and the Colorado River. Learn more here. Vail’s premier golf course opens for the summer on May 11. Highlighted by views of the Gore Mountain Range, Vail’s mountain-style, 18-hole course features unique fairways, smooth putting surfaces and a scenic layout amidst the White River National Forest. Planning on golfing multiple days? Check out our Stay & Play offer for more of the areas finest courses. 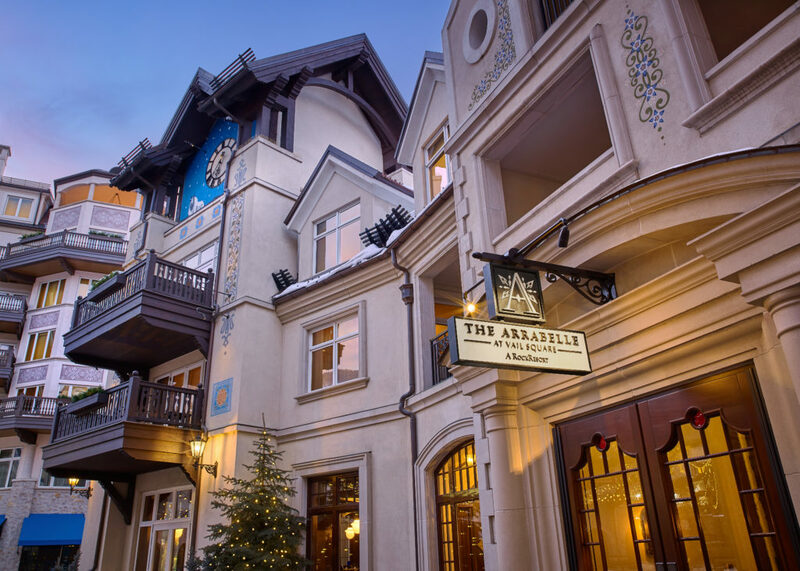 The Lodge at Vail Spa and the Arrabelle Spa are both offering discounted massage rates for the off season. Looking to visit later in the summer or even next winter? We have deals active all year round! Learn more here.